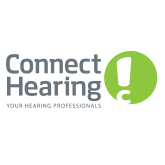 Connect Hearing Littleton is part of a nationwide chain of convenient neighborhood hearing care centers. Our Hearing Care Professionals are passionate about helping people to hear better, applying a consistent process to determine the best recommendations for your hearing health. We provide free hearing tests and a walk-in, walk-out 2-week FREE trial with hearing aids that are right for you - plus the Connect Advantage, your assurance Connect Hearing will be there every step of the way.